The merchandise cost is the main determinant of the price of a particular product. So preparing the merchandise budget holds significance. 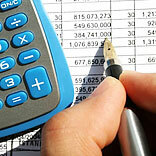 A lot of market research and analysis are needed to be undertaken to devise a budget. The process includes planning and controlling retail sales, inventory levels, retail reductions, purchases and profit margins. Retail sales is the most important aspect that a retailer focuses on. He works on all means of increasing his sales and works on the aspirations of the customers and in a way as to out do his competition. The sales targets of the previous and current year for the same month are compared to find out the progress of the store. Inventory management holds great significance in the process of merchandising as it is one of the major costs for a retailer. Right from sourcing till the time the merchandise is made available in stores it needs to be monitored. In every season stock analysis and season-end stock analysis needs to be carried out for greater precision in the inventory process to avoid stockouts and overstock situations. Retail reductions are referred to the reasons for the reduction of the value of inventory besides the sales. These include markdowns, marketing and promotion expenditure, discounts for employees and special customers, shoplifting, employee theft and inventory shortages etc. Profit margins are calculated once the price of a product has been finalised. Promotions should be undertaken strategically so as to achieve the targets and gain profits. Making a budget is one task but to achieve all that is what makes the difference. . After the budget is made, the next step is that of its implementation. Selecting and buying merchandise for a retail operation is one of the keys in making the store a success. A retail merchandiser is an important member of a store's staff. The company’s retail merchandiser must operate within a budget so that the store can be profitable. Besides doing everything the planned way, there are some serious considerations which can bring about the difference. Space constraint is a significant factor which you need to consider, as what you buy needs place whether for storage or display is another thing. An excess of merchandise with no place to store can get spoilt which will lead to a loss. Also to get the right price for your merchandise, you need to know where to buy it from. So, if budgeting has been a hassle for you, just keep these considerations in mind to be able to offer the best to your customers!